As more snow and ice accumulates, and temperatures rise and fall, the larger the potential for ice dams. Ice can accumulate along the eaves and form a dam. The warm water can back up behind it and flow under the shingles, into the house. 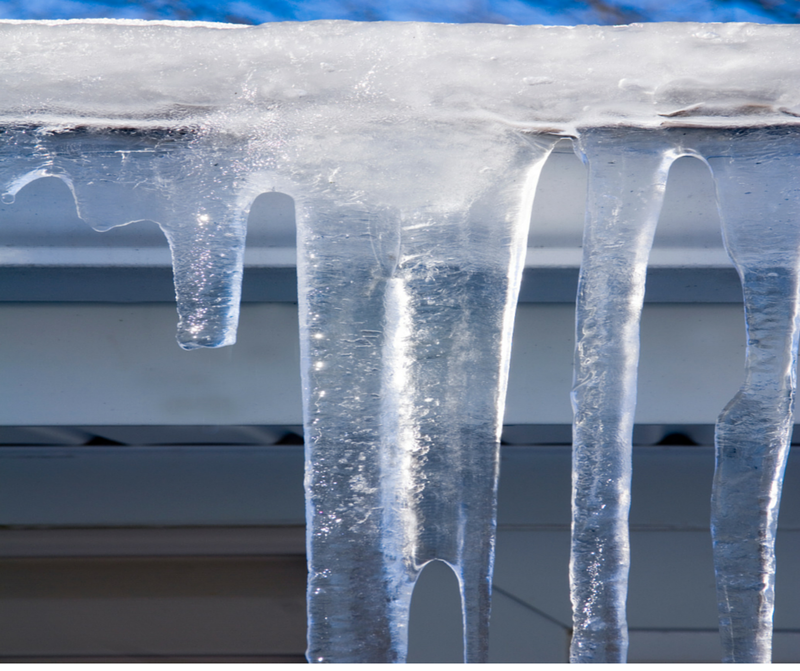 Help prevent ice dams by keeping your eaves and roof at the same temperature. Keep your attic well ventilated, less melting and refreezing occurs when your attic is kept cold and the heat remains inside your home. Sealing the gaps in your attic space and adding extra insulation to the attic floor helps warm your home and keep heating costs down. Be sure to check that your bathroom and kitchen exhausts vent to the outdoors, not into your attic space. If ice damming occurs in you home, do your research on how to remove it properly or call a roofing contractor. Throwing salt on your roof or trying to hack it away with a shovel or hammer will do damage. Ice & Your Safety Small Contractors: Are you insured to do the work?